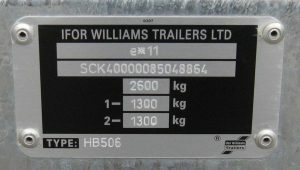 If you are unsure as to what type of trailer you have then check your chassis plate at the front of your trailer. Next to the word “Type” will be the model. 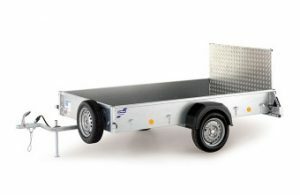 Does your trailer have three short sides and a ramp/tall tailgate at the back? If so then you will need a ramp tailgate cover. Does your trailer have 4 short sides? If so the you will need a standard trailer cover. 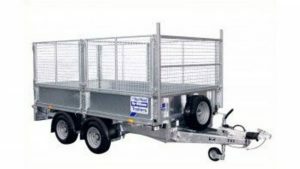 Do you have either of the above style of trailers with a ladder rack fitted to the front? If so don’t forget to select “YES” to ladder rack. Your cover will then have a Velcro opening front. With opening front corners you can fit the ladder rack into the reinforced slots in the cover without removing the ladder rack. Do you have a mesh kit fitted? 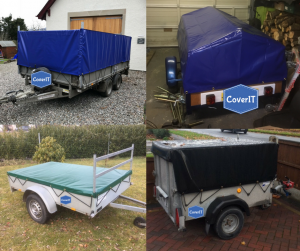 If so you will then need a mesh sided trailer cover which will cover the trailer’s mesh sides. See what choices are available on the page for your trailer type. 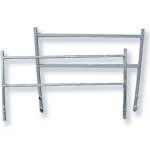 If your trailer has short upright posts at the front corners that are taller than the mesh sides then select “YES” to ladder rack. A P range or GD range trailer will have square reinforced holes in the front corners for the ladder rack posts to fit through. A flatbed or tipper trailer with a H frame attached to the front will have a Velcro opening front and a reinforced square cut out for the post to sit in.